An Epic Experience That Must be Seen! This looks to have turned out well, resonating with me so much, putting visually, and with a spoken narrative what I would like to have said myself. I hope this will unlock a new awareness for people about Celtic Christian Spirituality. 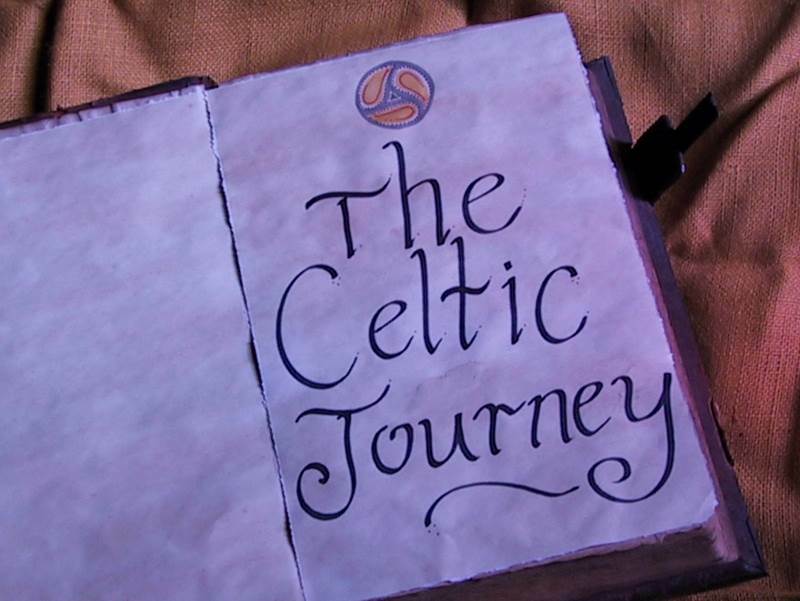 CELTIC PILGRIMAGE does what I want to articulate, communicating what I want to express in a wonderful way, with quality, and in a powerful way. It is what I wanted to say, and couldn’t put words too. A demonstration of a rich heritage we do not want to lose, this is going to be a tool to aid this from not happening. Going by the preview that we have been able to see. I’m Looking forward to the seeing the whole thing when it comes out. Thanks to all the contributors that have put so much time into this gem of a work. To help keep these women and men of God always before us, to inspire a deeper walk as they had, making people aware of these men and women of faith. I hope there are more in the works to cover some of the other Celtic nations and saint, like from Wales, Cornwall, and others that are not coming to mind right now. Plus more of the Women who contributed in a rich way to this stream of faith, that became a raging river. However, I’m extremely happy and look forward to having this in my DVD Library, when it comes available. A Celtic Pilgrimage to Lindisfarne and beyond. Steppingstones on the Celtic Way Mark Condy’s Thoughts for further insight for those who are interested. Passport has it been acquired? Cell Phone, talk to your phone provider what options there are for travel abroad. Money: Pre-paid debit card or order travelers check or currency. VISA/Mastercard AAA has a card with no charges for exchange rate conversion. Gas for vehicle: remember this cost. Ground travel: Train, Bus, Taxi (Look at Public transport options). *The Condy Family stay to visit family and possibly go to Cliff College or Portugal if Darren his brother has moved there. The Agenda is all subject to change dependent on the needs of the group and to consider the pace that we need to take. “For a successful pilgrimage experience, the outer journey must never be so filled with activity that the inner journey is crowded out.” pg 6 Soulfaring. “Thus the focus of a pilgrimage is the interior growth resulting from an exterior journey.” pg 9 Soulfaring. “So it is a search for self and a search for God or the divine. A generous time needs to be allowed at each holy place, this may mean that the pilgrimage visits fewer holy sites, it also means pilgrims will be able to savor the particular spiritual qualities or numen of each place. Such use of time will greatly enhance the overall pilgrimage.” Pg 6 Soulfaring Celtic Pilgrimage Then and Now, by Cintra Pemberton, O.S.H. This was my original intent and discovered this would be too much to do, too much activity. A suggestion was given of a Taxi service, this may be a cheaper option for our transportation needs when we are visiting. 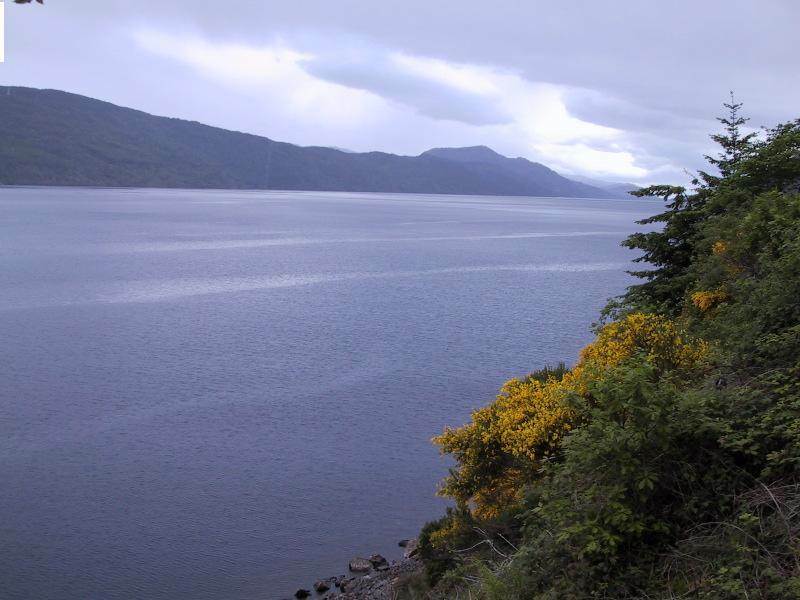 Take train to Waverly Station, bus, or taxi from the airport. The accommodation has been booked at Edinburgh Castle Hideaway, Lawnmarket, Royal Mile has been booked for the nights of June 26, 27, and 28 2019. It is wonderfully located has 5 bedrooms and 2 baths. or the book I’m presently writing. Do we want it structured? Free to explore as the individual or as the group feels led and desire? St, Cuthbert Kirk: St. Cuthbert. St, Cuthbert Kirk: Exploring the Psalms. APP for the phone: Pilgrim for and hour Edinburgh? Mary King’s Close is a historic close located under buildings on the Royal Mile? Art Museum: Scottish National Gallery? The city center of Edinburgh, Scotland is a bustling place, bursting with energy and activity. It is good to be able to join in, but the walk set out in this App offers an opportunity to explore the heart of Scotland’s capital in a more contemplative manner. It gives you the chance to reflect on the people and places which have helped shape the life of this great city. The walk contains 15 points of interest and the App offers thoughtful reflections at each stage along with a progress indicator. The Tour is available in English and Scottish Gaelic. Leaving the Edinburgh area and entering into the Borders. You can view it at this link: https://nam04.safelinks.protection.outlook.com/?url=http%3A%2F%2Fwww.booking.com%2FShare-vIQ9kR&data=02%7C01%7C%7Cb393ef2cebbc457e350808d5cbe66f5b%7C84df9e7fe9f640afb435aaaaaaaaaaaa%7C1%7C0%7C636639112922141765&sdata=Uu3Ae%2B1uhOw8vgPClwRd2ZS2S%2FJ3VoRmlnZD9dZKiW4%3D&reserved=0. Old Tree The Capon Tree According to the sign: The Capon Oak Tree is one of the last surviving trees of the ancient Jedforest, close to Jedwater. If you want to achieve something that is on many people’s bucket list, and follow in the footsteps of people who have taken this route for centuries, you will not be disappointed. A couple of key points though…follow the route marked by poles from the first lay bye on the causeway from the mainland side. 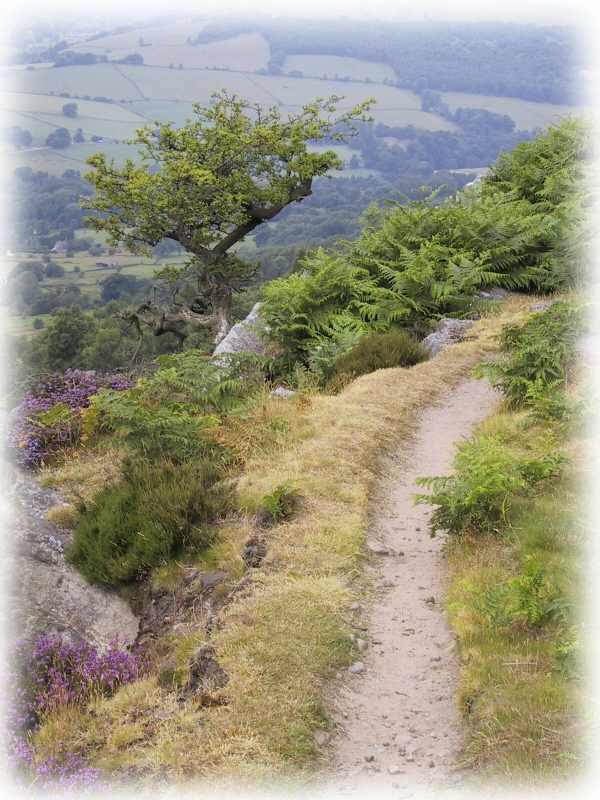 Allow at least 70 to 90 mins unless you are an experienced walker. Also best to walk in bare feet across the sands. It can be slippy in places so walking sticks would help (but we managed without, although only just avoiding a couple of falls!). Always be aware of the safe tide crossing (the tidal times can vary, and refer to the causeway, not the pilgrims way, which can be 45 mins less than the causeway times). However, using common sense you can cross safely and enjoy the experience. We walked back on the road to make it a little easier and quicker, and allowing for more time using the causeway. Enjoy! At beginning walk and before departing to return to the US, we walk the Labyrinth, this would bookend the journey with the conclusion of walking the Labyrinth. To compare our heart after the experience of the Pilgrimage. As a Pilgrimage group, we have chosen to stay in Jedburgh and not Hawick. I’m in a Celtic Christian Facebook community, a person in the group asked about the Celtic Cross. How did the Celtic Cross come to be? Looking at a couple of books I had and some web searching. It has been very interesting to discover the different thoughts with regard to how the Celtic cross came into existence. One book talked about the Druids having a standing pillars with a circle at the top, symbolic for the sun, which was a major divinity for them. “The message of the Celtic missionaries was simple: We have not come to deny the importance of the sun. Indeed, without it we would have no heat, no light, no life. Rather we have come to introduce you to the one who who is behind even the sun, moreover has revealed himself in the person of Jesus. Hence the pillar with the circle at its head simply developed into the Celtic cross with the arms of the cross superimposed or extended from the central orb.” pg 112 The Celtic Resource Book Matin Wallace. Then there is an article Stick, Stones and the Zodiac giving a lot of further insight. The Celtic cross is also called the Wheel Cross. “The Celtic cross combined the ancient pre-christian symbolism of the sun wheel, the sacred circle quartered by the four directions, with another layer of meaning: the cross on which Christ died, creating the intersection between Heaven and earth, God and humans.” pg 82 Water from an ancient well, Kenneth McIntosh. After reading these books and article, I have come to the understanding that I have had a simplistic understanding of the Celtic Cross. However, I love the craft in the following video. 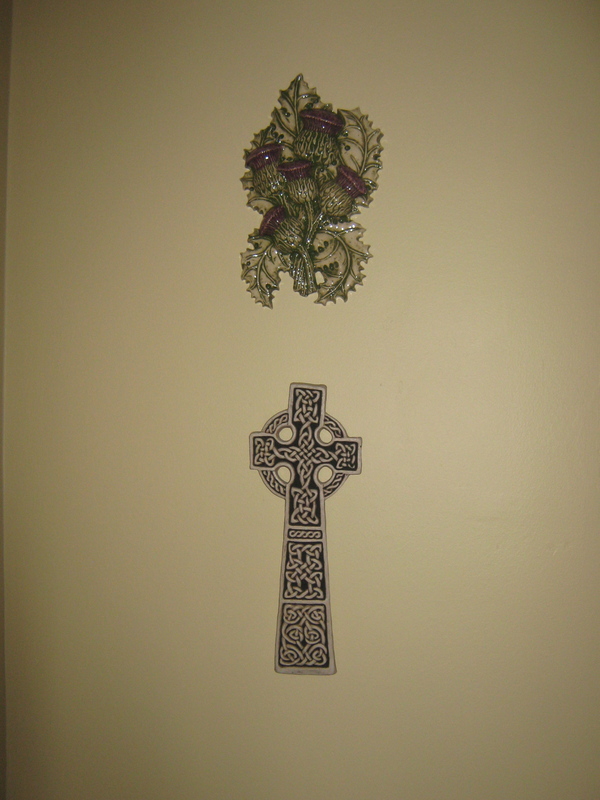 That has become a meditative practice for me personally and my first contact with the Celtic Cross. This has allowed me to enjoy designing in the paper cross and giving me a lot of pleasure over the years. What would be the church of God’s dreams? Unity, love, yielded surrendered people like Jesus who said, I’m about my Fathers work. He only did what his father told him to do. The church of God’s dream needs to have no oppression or exploitation, but having compassion, care, and a love for one another, a new LAW of Love, Acceptance, Welcome. 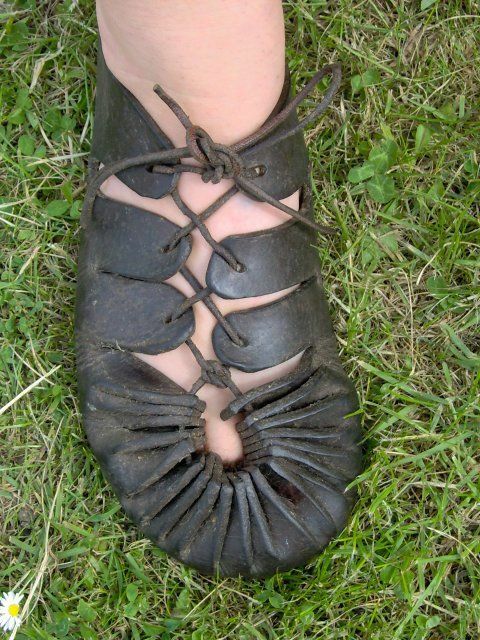 What would it be like to be in the sandals of the Celtic Monks? Would they even have a dream of the church of God’s desire? Yes, the book of Acts. They established a church not as we know it, and what the Celtic Monks know as the church; it would be so different than our current day church. I’m finding it hard to visualize what it would have been like to be n their time in history. It is a gradual unfolding as the Holy Spirit lead, and these men and women yielded to hid guidance. What can we learn by walking in their sandals, what would it be like? It is hard for us to imagine all the hardship the Celtic saints had to go through to get to the desolate barren locations and then establish a community. We have the convenience of cars and public transport, food in stores we can purchase with ease. These men and women of God press on forward demonstrating the love they had for the poor, as they where one poor sinners, now rich in love, because of a God of love, who is love. This God loves them and desires that they enter a relationship and is as close as the very air they breathe, and is not a god that has to be appeased with offerings, and if this is not fulfilled stirs up wrath and misfortune into their lives. We tend to do things that are right in our own eyes, do the things we want to do, but when it comes to walking the ways of the Lord, we tend to drag our feet. We forget that the Lords ways are higher than our own. Do we deny ourself or make a personal sacrifice? To begin leave behind the familiar and comfortable for the greater cause of the Lord’s enter into the Lords plan. We can get so easily caught up in the cares of the world, the everyday stuff, distracted, even led astray, when we don’t have the Lord in every aspect of our lives. The acts of our everyday actions becoming a prayer, a symbolic action such as dressing, visualizing that you are clothing yourself with Christ, or being covered by the shadow of the lords wing of protection. In the act of having a shower in the morning, make it a prayer to be clean, symbolically wash away the sin, and allow the Holy Spirit to wash over you and empower you for the day. To be aware of each act of your life can become a way of having the Lord present in every moment of your life. Do we have tears of compassion and tears of remorse for the things we should be doing, for the things we have left undone? Do we trust, and entrust ourselves into the hands of the Lord? Thinking of the Celtic Monks, could we live with no wealth, give to the poor anything that is gifted to us. Hand over ownership of monetary gifts, as it is the Lords and not our own to do with as we please, but to do with as the Lord wills. Being content with the simple daily provision, grateful with what they had as a community, and not asking for extra, for there was at times, not more to have. To be faithful with what we have been given and do the things that the Lord has told us to do. Life can be a test of endurance. However, do we even enter into the extreme conditions the Celtic Monks went through, what they put themselves through as an act of devotion and service. Do we even have self-discipline, mastery over our bodies, minds, thoughts, deny ourselves anything, do we take up the cross of suffering? Do we feed soul and not just bell? Do we go to bed early, early to bed early to rise, so as to have quality time with the Lord? Are desirous of getting a word from the Lord? As a person cannot live by bread alone, but by every world that proceeds from the mouth of the Lord. We are family, and to be in a community of faith, for in this community we are tested, and shaped, and this is the plumb-line we use to test our faith. In the way we handle with care, in the way we treat its weakest members, we will be asked one day how we have treated them. Jesus said, the poor you will always have with you. The Beatitude, “Blessed are those who recognize their spiritual need. For the kingdom of heaven belongs to them.” (Manga MessiahBible). We can be poor, if we don’t recognize our spiritual need, not just poor materially. “Blessed are those who hunger and thirst for all that is right. For they will be filled.” (Manga MessiahBible). Is it possible to live such a life? With the temptations and the voices of the world, pressing to get our attention. How is this accomplished? Holy Spirit we need your help! These thought are a work in progress for me also, we are all growing into our faith. May we not be fooled by being full of information, as we need to see the transformational work in people lives, and in our own lives. Here are some of my beginning research, that is a work in process with regard to the changing face of the church. What is our place in it? Those who profess to be Celtic Christians. I don’t admit to being an expert if there are articles, books recommendations, please suggest and I will add to this work in progress. Websites that looked interesting to me on this subject of Church, and following this Celtic influence and those who are the visionaries so far. I have not read them all, so not able to endorse them as everything I believe, however look like they would be informative. The church is! People, we need to not forget this, it is not a church building and its programs, it is people who have a heart for God. – The greek word ekklesia (church) refers to a meeting of people called out and summoned together. – In the N.T. it designates primarily the congregation of God’s people in Christ, who come together as citizens of God’s Kingdom (Eph 2:19) for the purpose of worshipping God. – So therefore as individuals, we are the church, and when we come together we make one body or one unit. – Like I mentioned before, there a local church which we are a part of, and the universal church, which is everyone who is saved that has died and gone on, and who is living around the world. – The church is presented as the people of God. – The church is a people called out, also the church is the temple of God. – The church is the body of Christ and the bride of Christ. – The church is victorious over sin, death hell and the grave. – The church is on it’s way to Heaven and the gates of hell can’t stop it. – The church truly is a people with a future hope. How can the influence of the Celtic Monastic monks/saints help us in today’s church? Is there a physical location of equivalence in the USA. Like Iona, Lindisfarne, and the Northumbria Community? I want to start discussion, does anyone in the community know of a sacred place and space that is a pilgrimage location here in US? I asked this question 2016 this was the responses. Adrift for God or drifting away from God. Drifting toward love or away from love. It is like in a coracle at the mercy of the water, and the leading of the Holy Spirit. But it is the heart condition that leads our choices also. The cry of the heart, crying out here I am, send me, or a heart that is willing, open to having a desire to listen as we are quiet, making ourselves ready for obedience, like the boy Samuel after being still waiting with instruction to say. Speak Lord for your servant is listening. 1 Samuel 3:10. The instruction for the open-heart condition, heart motivation, the heart is a symbol of love, the condition of the heart either result in a drifting toward or a drifting away from the Lord. Jesus, what did the Celts think of Jesus? Jesus’ heart instruction was “if you love me, keep my commandments” A new commandment I give, is that you love one another as I have loved you. The root is love, out of love the obedience flows, no love, the heart drifts away from God who is love, and is Love, as God is Love. Do we have difficulty obeying, drifting away, is it because our heart actions don’t stem from the motive of being done out of love? Why did the Celtic Saints go? Sent by their bishop to evangelize, or share the message of the one who they love? “Do you love one another as Christ loved you? Do you forgive others so that you may be forgiven? Do you tithe [give] and practice justice, mercy, and faith? Are you known as a person of prayer? Are you witnessing about Christ to the world in the power of His Spirit? Are you displaying unity with other believers in your church, with other churches, and with Christians in other denominations?” pg 78 – 79. Fresh Encounters by Henry T. Blackaby. These are questions we drift into or away from in our daily lives. It is a choice to listen and be willing to be available, to act or be passive. We can be inactive and go along with the crowd, or inactive, but in the flow of God’s love, trusting that God knows the way for us, and that is enough. Are we adrift for God? It is listening to and being aware of the movement of God, and also being aware that the pilgrimage is to Jesus, and is for Jesus. The nudge or the stirring of the heart by the Holy Spirit is to evaluate if we are heading in the right direction, a constant realigning, with a yielding to God again, and again, seeking the next step to take on this journey called life. Holy Spirit guide me back to an intimacy and excitement about the journey, the pilgrimage is toward Jesus and the heart of the Father. Help me not go astray and be left to my own devices, as I will become miserable because of wrong choices, and begin to drift away rather than toward you. This is a daily choice of connection and relationship, not legalism but love, as rules without relationship leads to rebellion. Hear my prayer, let it be. Here is St. Brendan’s Prayer; he ascends the mountain and discerns in his heart before the Lord, the choice he is deciding to take, to leave behind the familiar. Testing what he is feeling, is this the leading of the Lord. He is questioning, pondering, testing, is what he is thinking, and what he feels, is it the leading and stirrings of the Holy Spirit. I stumbled across the Caim prayer a few weeks ago and had not heard about this protective prayer and practice. I loved the thought of evoking the blessing of the Trinity over my circle of friends and family, and have started praying protection around my family and friends. The following devotion by Ray Simpson talked about circling and loved it and this is what he had to say. God divided light from darkness by a circle. Flocks with shepherds huts burgeoned around Ninian’s community at Whithorn, for the brothers, pilgrims and poor people all needed to be fed. Ninian wanted to bless these as well as the monastery, so when the flocks were gathered in at night he would walk right round them, marking a circle on the earth with his staff. Then he would raise his hand and ask God’s protection on everything within the circle. On Michaelmas Day at Iona all the humans and even the animals walked sunwise around the Angels Hill to seek God’s blessing on the island for the coming year. We know that abbots of Iona such as Columba and Adamnan practised the circling prayer. Adamnan tells us that when Columba sailed from Loch Foyle he blessed a stone by the water’s edge and made a circuit round it sunwise. It was from that stone that he went into the boat. Columba taught that anybody going on a journey who did the circling prayer round the stone would most likely arrive in safety. In Wales you can still see traces of the circles of stones that surrounded monasteries and other holy places. They marked a place dedicated to Christ like human sentries, protecting the inhabitants from evil forces. What is the significance of the circle for Christians? Celtic Christians carried on the Druids’ understanding that the Devil was frustrated by anything that had no end, no break, no entrance, because they knew that God is never ending both in time and in love, and the Three Selves within God form an ever encircling Presence. One of the chief rites of the sun-worship of pagan Celts was to turn sunwise in order to entice the sun to bless their crops. The Christians said to them, in effect: ‘The Creator of the sun is now amongst us, we will continue to circle our crops, but now we do it in the name of the Sun of Suns. The Creator had built the circling of the sun into creation, which reflects something of its Creator, so it is good for us’. This is not magic, it is an expression of the reality of the encircling Presence of God. To say the Caim or Circling prayer, stretch out your arm and index finger and turn around sunwise calling for the Presence to encircle the person or thing you pray for. Go Thy Way! Do we know our way? People of the way, but have we lost our way? Are we even known as the people of the way any longer? What is the way? To Be Like Christ! One Who Is Like Christ????? Discerning! seeing if there is any wicked way in us, the need to be clean, to cleans our way if there is unrighteousness in our soul. But this is ultimately a work of the Holy Spirit, but we have to co-operate, being willing to allow the fruit of the Spirit to grow. Listening to the voice, the guide, saying this is the way walk in it. Do we have that faith to believe our ears, have the ability to discern if that voice what we hear and listen too is the Holy Guide? It’s about knowing the way and choosing the right path, having confidence this is a good step to take for your life. The right course of action as we journey. The steps needing to be trodden, with each step, discerning our heart motive, and this has to be a daily on going process . As we can so easily get lost and have to find our way again. But it is important to choose a life direction, if we don’t choose our life trajectory who will? We then will get blown along by circumstances or blown along by the Holy Spirit, which would we prefer? So are we people of the Way or People of the world. This is tricky at times to assess, do we look like people that follow Jesus, or has societies influence infiltrated our lives, and effected our faith? It is not the words spoken, but the actions of our way of life, that makes more difference than we realize, demonstrating our way we life. Allowing all to see a lifestyle that identifies us as people that live like our role model JESUS. To be once more people of the Way! The title of a book that was given to me by a friend recently addresses this very subject. I began reading and have found very interesting. We are all blind at times and need the mercy of God, when we do see, do we immediately wanted to follow Jesus, going his way for our lives? The blind man enters a new way of life, he does not give it a few days to ponders. But takes immediate action, does not hesitate. We get caught at a crossroads of choices and decisions. Wanting to know the way, wanting to know where we are going. This is one of the reasons for this article, because most of the time I don’t know the way. The Message Bible states it like this: Go stand at the crossroads and look around ask direction to the old road. Then take it. Jeremiah 6:16.
Who are we asking direction from? Also, you may say what are we wanting to look at old roads or old ways for, we are in the modern age? The new advancements, for a better world. These time tested ways may be the way forward, more than we want to admit, “the challenge of the future will require, we realize, rediscover and adapt, re-use resources from the ancient past.” pg 6 Finding Our Way Again, Brian McLaren. Jesus said Go thy way, your faith has made you well. Your faith in Me, Jesus. I am the way, the truth, the life, a travel companion on the road to a destination we at times don’t even know. We have to think, feel, decide to walk in a new way, and go the distance, we are travelers, sojourners, like Abraham, being led to a distant land that is not known. Just told to go, and would be told when he got there! It is a faith journey, and this is why we need a (soul friend) an Anam Cara to journey with us, to aid with the discernment process, to test, and to help us with our choices. It’s a Way of life, that is truth that brings about righteousness, and it is life giving, a new restored life. There is a need to rediscover our faith as a way of life, not a system of rule and regulations. A rhythm to live by, the season to follow, journeying with like minded people, in community and experiencing hospitality, just in awe with life, creation, pleased to be alive. I’m pondering joining the Community of Aidan and Hilda, a community that has a focus on Christ and the Celtic figures that spread the love message of God to the peoples. Way of Life this is the guideline the US Community gave to help draft a Way of life. This is the info-way-of-life the UK community give as a guide. I hope you will view and ponder, and go and implement some little change in your life, it only take a step to start a journey. I discovered a friend wrote the words and music for this song and every time I would hear this music I would be taken to the hills of Scotland. It is 3 years ago next month I went to Scotland to visit family before this it had been a 5year stint of not having been to Scotland. It was wonderful that I got to go back to my homeland and catch up with family and see my younger brothers wife for the first time and they had just had their first child a week before we arrived. I also got to meet an old friend and saw all of her clan. There was an added bonus her sister was visiting, she was the one who wrote and arranged the song I so love, what a blessing, to sit in my friend’s kitchen as her sister sang the song to me live, that I love so much. The subject of Celtic Christian Spirituality has been a journey that has intrigued me for a number of years. There has been a restoration and re-awaking of the subject and a desire that is being fanned into flame on a regular basis, and it’s a process of discovery that I love, being informed and inspired from new or old sources. to learn from the ancestors of our faith, and trailblazers of the current day. In tracing our heritage, linage, and ancestry, it is a process of discovery, discovering where it will take you, the thrill of a destination unknown at times. Most of the time this is the case in the journey of life. We have to not be afraid in the uncertainty of the unknown. We have to view and see at times from a different perspective, taking a leap of faith and learning how to fly. We are being allowed to soar, like that eagle in the wind currents, or like the description of the Holy Spirit described as the wind. “The wind blows wherever it pleases. You hear its sound, but you cannot tell where it comes from or where it is going. So it is with everyone born of the Spirit” John 3: 8 of the bible. At times I give a taste of my ongoing writing project, in my Blog, of Tobar’s journey and search for significance, writing is fun and daunting, but gives a good description of the unfolding of my book and writing style. I cannot tell where it comes from or where it is going, elusive like memories, never sure when something will trigger something from your memory banks. Do I want to be blown along by the Spirit, destination unknown? 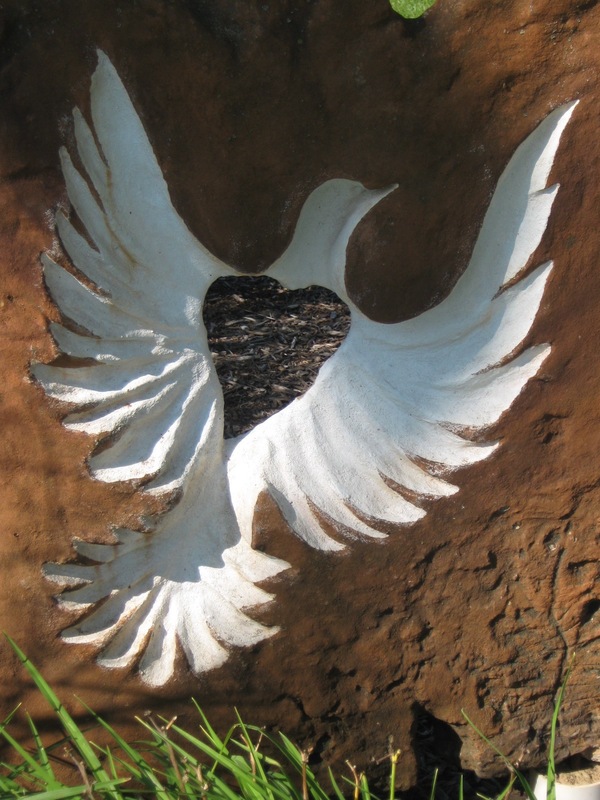 The Holy Spirit allows the sacred and also the good, bad, and ugly, to resurface. Will I, will you, allow the spiritual director, the Guide to take control of our lives, inspiring and motivating us to go on forward, bring things to our remembrance, so as to enhance our lives. At times it is a joy, other times so painful the process of the shaping and forming of our lives, ultimately toward being better people. We also have to be patient and persistent remembering a delay is not a denial from God. And to always be remembering how far you’ve come, I’ve come, we have come. Not just focusing on how far we have still to go, but continue in hopeful perseverance. Inspiration is the key to keep you motivated, start where you are in spirit, the connecting point that motivates and invigorates you to continue, and take that one necessary little strep. It is just getting started that creates the momentum, this applies to any area of life. Scribble what you know in a note book, speak to a relative, start a search using the web, read a book on the subject, not many people can go to Scotland the land of my roots, for a vacation, retreat, genealogy search, to begin the spiritual or ancestral trail. The beginning may have to be in the place of research and a little imagination. If you can find the financial means many go to the land of their origin to seek their ancestral roots because of immigration from the UK and Europe, and being scattered around the globe, resulting in descendants from long ago, and far afield. We long to capture the spirit of our forebears or just get captivated by the Scottish heritage in my case, the culture of poetry, history, music and innovation, those who have shaped the world and our lives without us even knowing. Scotland the brave Land of my high endeavor, land of the shinning river, land of my heart forever, Scotland the brave. The next place I would like to visit for inspiration is the Isle of Sky, to make me feel mare (more) at hame (home) to visit bonnie (pretty) Scotland to see the Ben = mountain peaks the drizzle = that rain like mist creating that gloomy mist that can last for days, giving some folk that grumpy mood. But without it we would not have the Nevis = the mountains covered by fog, and giving us the dreik = cold damp weather condition, once it has past making us appreciate the sun so much more. The heather covered hills where men and women from generation to generation have survived on the crofts, with the salmon filled rivers, surviving of the land, barley, wheat. Oats, potatoes and rye, also their faith, and trust in a God that will provide their needs to sustain them. Knowing that man cannot survive on bread alone but by every word from the mouth of God, the word of illumination, a word of God at every season of life, in those life stages. Thy word is a lamp unto my feet a lamp unto my life, the revelation that brought about one of the national flags the saltire or St Andrew’s flag, in a vision or dream. God is the guide by the Holy Spirits leading, we have to always remind yourself that the Lord is our shepherd and we are the sheep of his fold. Taking comfort of the Trinity’s leading and going ahead of us each step of the way. Showing step by step, stage by stage, process and progress, we like a child, have to trust and put our hand in the Lords. To be obedient to the leading of God, for we have a limited sense of knowledge to know where we are in our life at times and to be honest are just guessing where we have to go next, destination unknown at times. We need the Guides leading, and the Holy Spirit does at times give us inner pressure, to gently push us forward, and pushing us to our knees to get into a time of intense prayer so as to fulfill the purpose of God. Like a shepherd in the natural driving the sheep to the sheep pen and safety from harm, the Holy Spirit drives us if we are not yielding to God’s desire. Allowing to enter unrest, so we know the resulting peace that surpasses all understanding, a witness of God when we have gone the right way forward in the right direction. We have to give God time, to lead and guide us to receive the insight for living, by listening too, and experiencing the gentle breeze and a touch of the wind of the Holy Spirit. It’s being sensitive not to miss his moving in your life, we could miss out on so much, of what the sovereign God has planned for our life. Take a deep breath, and breathe in the possibilities, exhale the negativity and doubts, breath in life, creativity, having a confidence that God is for you, having a confidence in your God who wants your best, desiring the best for you and me from the very beginning of time, we have to dive into the plan, being inspired, and allowing the unfolding of this mystery, a passion, becoming revelation and reality, getting caught in the breeze, blown along by the breeze of the warm spring air, caught in the moment when God gets your attention. These thoughts are my musing about my book project. The Anam Cara, A Celtic Tale of Tobar’s Transformation. It was inspired by a wonderful book by John O’Donohue, Anam Cara. This was the seed sown, beginning the journey of discovering more on this subject. The following is thought insights I’m trying to bring to the surface in people’s lives, of the benefit of an AnamCara. Just making a conscious effort to be open to the leading of God, to find a friend to bear your soul. Begin today, choose to reinvent yourself and bring benefit into your life by making an Anam Cara, (Gaelic for a Soul – Friend) Someone who encourages a closer walk of relationship with God, who helps you to see your life role. To ultimately be walking in kingdom values. An Anam Cara is a person who is encouraging you to have the confidence that the Monarch of the Universe is watching your back. Epidemic problems: The Anam Cara, this is an ancient practice, I feel a treasure was forgotten, if implemented will overcome a number of problems of epidemic proportions. What are they, you may ask? The first is loneliness! We are in a society that is very independent, individualistic, and superficial, we may have friends but they do not share the deep soul issues, and the burdens of their hearts. Without a Vision: The next issue, having an Anam Cara could confront is the aimlessness in people lives.We all need someone to go too, having a sounding board in your life, and an Anam Cara, can aid in life vision and aspirations, sharing the longings of the heart, can be the first stage toward attaining your dreams, and toward choosing your vocation that has been placed within you from the beginning of time. Nurture growth: Helping your gifts to come to the surface, this is not just benefiting you, but the whole world. To further establish the kingdom for The Monarch of the Universe. Having a bigger picture, expecting to be matured and fully grown to bear fruit that is beneficial for all. What will you do to get a chance to reinvent yourself? Let God, or The Monarch of the Universe as referred to in my book,The Anam Cara, A Celtic Tale of Tobar’s Transformation, have control of your life. The Monarch of the Universe can use you in the service of righteousness, peace, and Joy in the Holy Spirit. Secondly, if you choose to buy this book,when it is published, wonderful, but ultimately it is allowing the Guide to help you discern the needed changes in your life, this is what allows for the transformation, aided by your Anam Cara. Imagine: Paint a picture in your mind of you entering into all that the Monarch of the Universe has for you, you fulfilling your role for life. Picture yourself entering into this dream, all because you have learned, to hear, and listen to instruction through direction from the Monarch of the Universe. Because you have been taught by your Anam Cara, who has given a word in season that helped with the discerning process. We all need friends to help us in the journey of life and we also have a friendship that can be found in The Monarch of the Universe, who is for us and not against us. Let us press on forward knowing that the Monarch of the Universe is more for us that we are at times for ourselves. Service: Make a difference by allowing The Monarch of the Universe to make a difference in your life. Your transformation will allow you to help others in their transformation and restoration experience. You know you want to reinvent yourself, who better to help you do this than the God of the Universe, the Monarch of the Universe, who created everything and is at work in your life even as we speak, right now. “I am the seer,” Samuel replied. “Go up ahead of me to the high place, for today you are to eat with me, and in the morning I will send you on your way and will tell you all that is in your heart. The people sought the advice of the Seer, to get insight regarding a troubling life issue. You can be that sought after sage / seer, who can give a word in season given from the Monarch of the Universe, thus being a conduit with a message from heaven. This is some of the thinking and ideas for my book project that I’m slowly working on, has been over several years. The book grows as I grow.